Have you ever wondered what a person’s brain activity looks like when playing a game that involves a high mental capacity? Well one study, performed in August in 2014, explored this idea by looking at the brain activities of amateur participants while playing a game of poker. Researchers then compared these brain maps to those of professional poker ‘[layers to see if there was a difference in how their brains processed and reacted to the game. Every player was fitted with an Emotiv electroencephalography (EEG) headset which was able to measure their brain activity while they made key plays during the game. 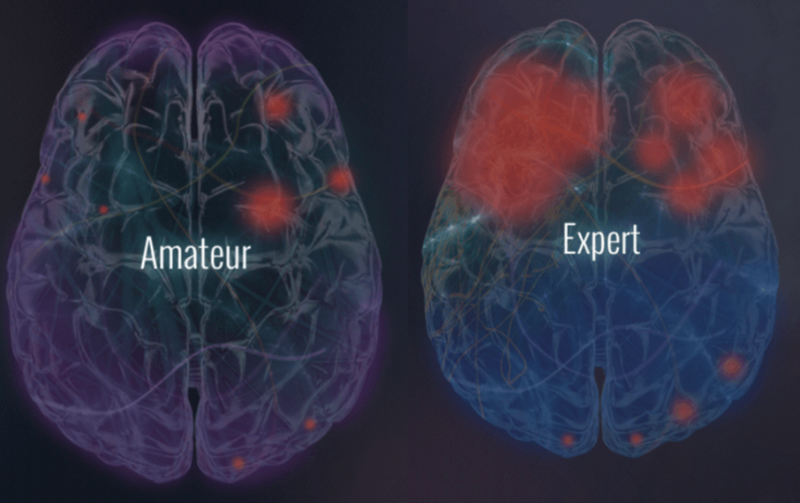 This data was later translated into a brain map for each level of player in order to compare the different player’s reactions and find out whether the experts had a greater mental capacity for the game.